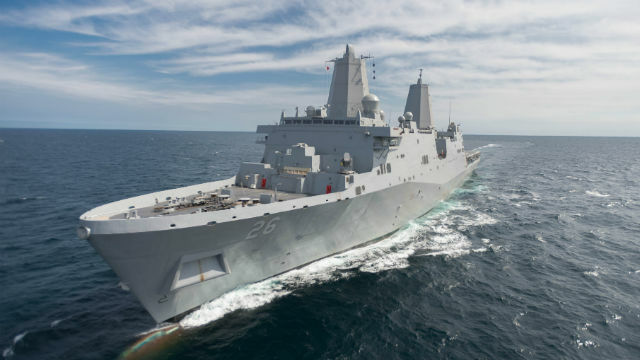 The Navy is inviting the public to tour the new San Antonio-class amphibious transport dock USS John P. Murtha this weekend at the B Street Pier downtown. The San Diego-based ship, which was commissioned in October, can support a landing force of 700 Marines with helicopters and air-cushion landing craft. It is named for a longtime Pennsylvania Congressman who was a Marine Corps officer and Vietnam War veteran. Murtha was awarded the Bronze Star and two Purple Hearts during his service. Visitors should wear flat-heeled, closed-toe shoes and expect security screenings prior to boarding. A valid government-issued photo ID is required.